Created without compromise, the JAY-BE J-Bed folding bed brings together the most innovative technologies to create one of the most luxurious folding guest beds imaginable. 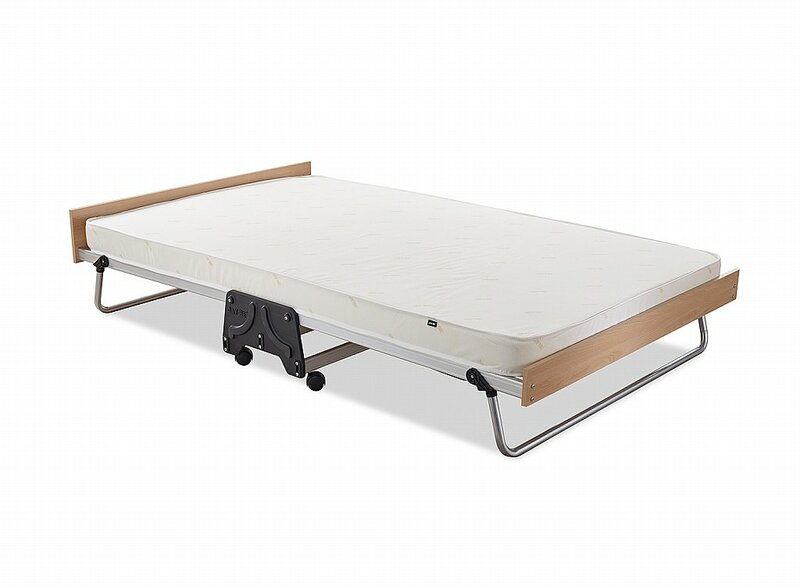 Made using the nest materials, the anodised aluminium frame is lightweight and sits on premium 360 degree castors which allow the bed to be easily manoeuvred. 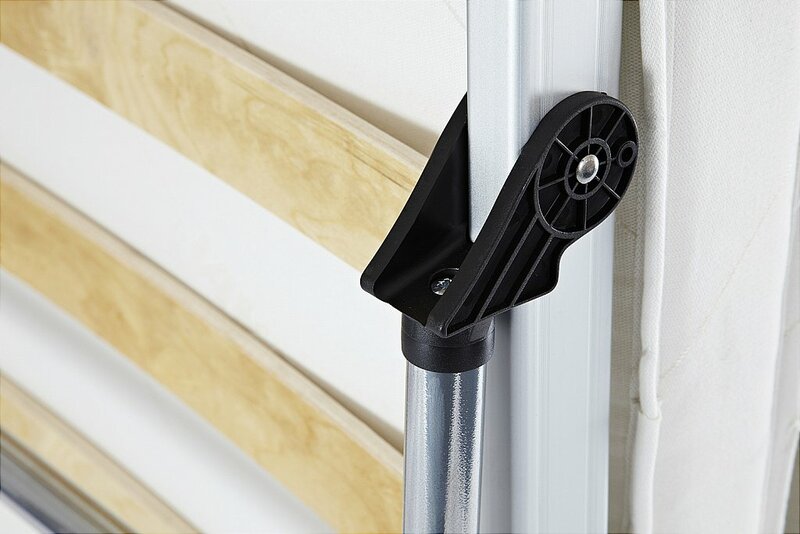 Precision injection moulded components compliment the stylish appearance. 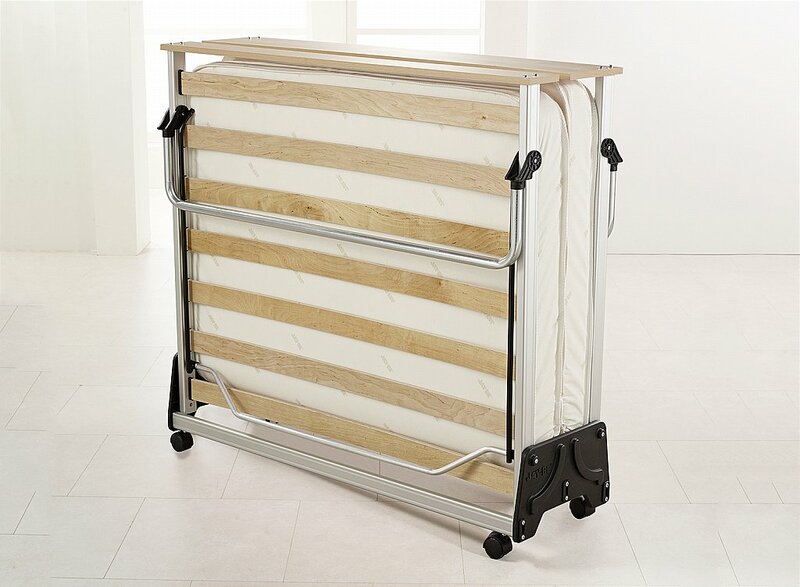 The exclusive J-Lok folding mechanism enables effortless opening and closing of the bed, one side at a time. 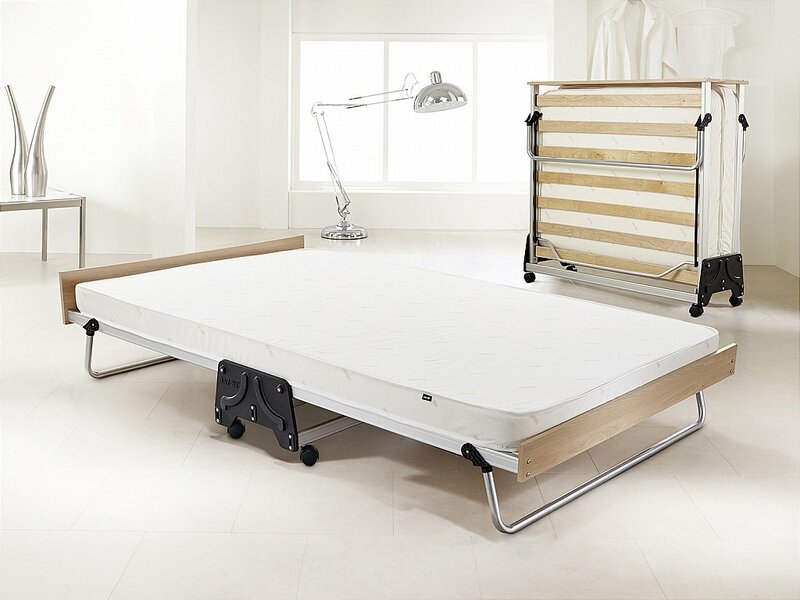 Resting on the sprung slatted base, the dual density mattress combines two layers of Air ow Fibre for optimum comfort. A higher density lower layer of fibre provides support, whilst a softer top layer offers extra comfort. Unlike foam, the Air flow Fibre Mattress fillings have a unique open cell structure for ventilation. This allows the mattress breathe which helps to maintain body temperature during sleep for optimum comfort. 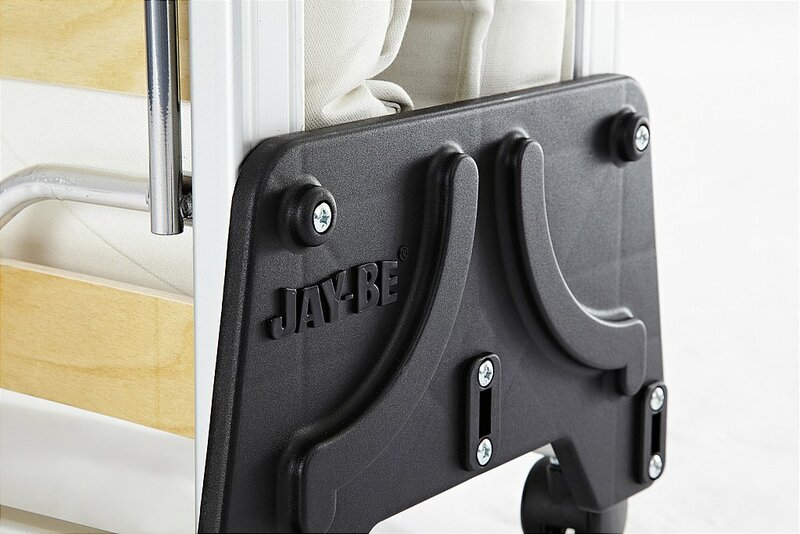 All JAY-BE folding beds are made in the UK and come with a FREE lifetime frame guarantee for your complete quality assurance. 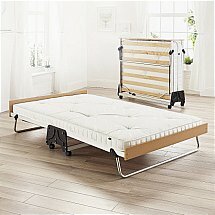 I would like more information about J-Bed Performance - Small Double Folding Bed by JayBe.